How well do mines “know the rock” they are drilling and blasting? The Internet of Things is changing the mining landscape and automation continuously to integrate into systems across all sectors. We sat down with a company who has integrated autonomous solutions, IOT (Internet Of Things), cloud data technology, and digital high resolution imaging into a system that accurately provides rock characterization in iron ore and next bench down predictions for base coal. In other words the technology informs the mine operator in real time how to maximize their drilling and blasting. 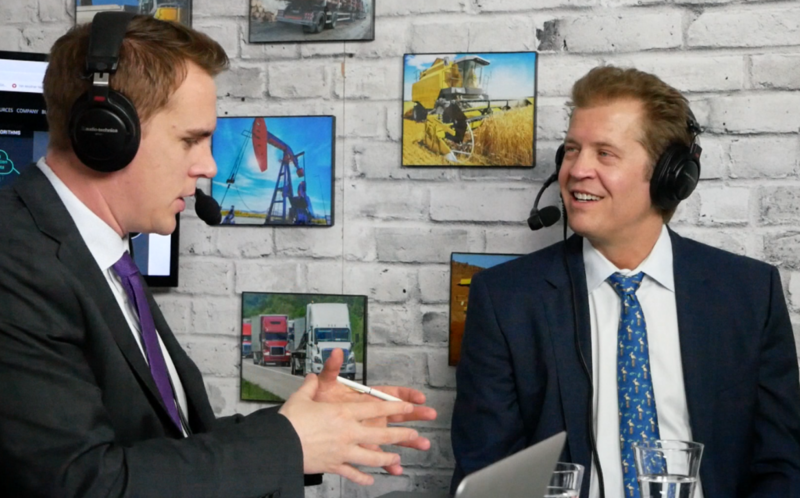 CEO of DataCloud, Thor Kallestad joined The Crownsmen Podcast to talk about how they pivoted into mining from oil and gas and how their company has delivered a new technology into the complex world of mining. To understand what DataCloud delivers it is important to clarify the foundational hardware behind the technology. An IoT sensor called a Rhino attaches to the blasting drill shaft and through vibrations from the drill head measures critical subsurface information including uniaxial compressive strength, density, and velocity but it also detects faults, fractures, and joint spacing as well as gathers grade indicator data and blast-critical measurements. This data is then sent to the DataCloud Platform via a specialized computer fitted in the cab of the drill and connected to the cloud server. As the data is gathered the Data Cloud Platform applies machine learning and artificial intelligence algorithms that create valuable subsurface insight. With any new technology, the first two questions to be asked are … “what is the advantage?” and “has it been proven?”. Traditionally blast hole drilling had no way to gather real-time data. Now not only are mine operators receiving information while the blast drill boars the holes but they are receiving high resolution imaging giving them a complete picture of the ore body leading to more efficient and accurate decision making. Thor explains in the first stages DataCloud provided free installation of their technology and with multiple proven results have moved into selling scalable systems to some of the largest mining companies in Canada and Australia. One of the challenges in any major operation such as an open pit mine is integrating the technology into the current systems. Thor explains that their partnership with Microsoft has given their cloud data the ability to work with most mines and he goes on to point out that because Microsoft is a trusted software developer it gives mine operators security in adopting the platform. The reverse side is that with the current battle of cloud data storage between companies like Microsoft, Google, Apple, and so on, this gives Microsoft a new point of entry into data storage that can be replicated across multiple industries. Thor makes it no secret that DataCloud is a new company, they have been in operation for nearly 3 years and as with any company you need capital and you need good people. It doesn’t come as a surprise that with being a tech developer they are based out of Seattle, Washington, and being in mining they are operating in Canada and Australia. However Data Cloud didn’t start in the mining sector. The first funding came from wealthy Texas families and was focused on the oil and gas sector (which is also Thor’s background). A partnership and investment from Orica an Australian-based multinational corporation and one of the world’s largest providers of commercial explosives and blasting systems to the mining, quarrying, oil and gas, and construction markets, brough Data Cloud the opportunity to transition into the mining space which is now their sole focus. The future of IoT, AI, and Cloud Data in mining and processing is limitless at this point. However, new technology will always have a process to go through before it becomes fully integrated and an industry standard. Thor points out that unlike oil and gas there is no company that does full IoT or AI technology integration to mining operations. As a result you have multiple systems running on multiple platforms at multiple stages of the mining and processing operations. Thor believes consolidation will happen but how quickly the ever widening scope of technology will become a collaborative effort is anyone’s guess. The technology is here to stay, how it will look in 10 years is the mystery.